I know this is an old post Matt, but I remember seeing it when you first posted the image. 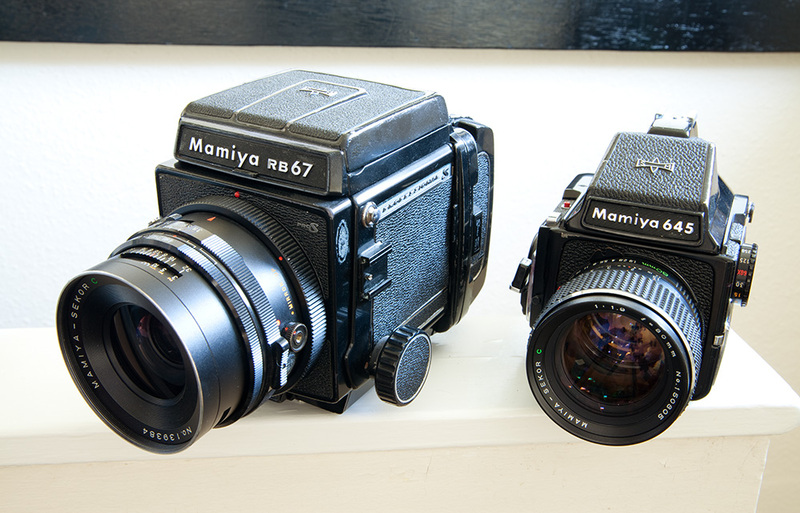 That Mamiya 6 is drool worthy . . . I have a Mamiya 1000S on the way, to replace the one I sold when I was doing the Great Purge last Autumn. The M6 and M7 are out of my reach for the time being. I considered getting an LC-120, but for now, I want to get the best IQ possible, and I know the M645 is a quality beast. Looking forward to getting my hands on one again. The 1000S is a better pick than the LC-A 120 for sure - in spite of being a modern camera, that one can be quite capricious, and it's downright flimsy if you compare build quality. The images are very nice, though ... and of course, it's supremely compact. I should have never sold my first 1000S . . . I was caught up in a fever of decluttering our office/computer room/music studio. I had photo gear everywhere, and was just trying to create some space. The new 1000S will complete my camera gear. I now have a high quality medium format, a couple of smaller 35mm Pentax and Olympus cameras, and a Fuji digital with a single small native lens. By the standard of my other cameras, the 1000S is large, but many of the Pentax DSLRs are just as large, and many people have no issue with carrying them. I'll check with the accountant and get back to you on that. LOL . . . Going through my in-laws estate found a couple of old cameras; an old Agfa 35mm with 45/2.8 and this old Kodak Tourist with an Anaston 100mm f/8.8. The Agfa shutter doesn't seem operational, but the Kodak appears to function... biggest issue is either rolling 120 onto the 620 spools or buying pre-rolled for $10+/roll. I will put a roll through it though... at some point. It did have a roll of color in it when I found it and since I wasn't aware of the little window on the back, I opened the back so I'm not sure if any pictures survived. I've ordered a C-41 kit so I'll give that a go soon. This is a $30 BNIB Minolta Dynax 404, it's a plastic entry level but is lightweight, has PASM modes, spot metering, ISO change etc. I just took my first BW with . So in the Minolta series of AF film cameras, which were the good ones? The lens I got for the cheapo Minolta is an all metal (seems to me) lens, it has some heft to it. Would like a nice body to go with it . My first post on this forum, so here are some of my portraits. I´ll posted some pictures taken with all of these beauties too.